Mounting surfaces like plywood, drywall, glass, plastic, ceiling tile, etc. We can provide these services quickly, starting with online quotations at competitive rates, followed up by a test program and results optimized for your antenna and its intended operating application. It does not matter whether you are an expert antenna designer, wireless product developer, or simply purchaser of antennas, we can arm you with insight. Read about the benefits here. 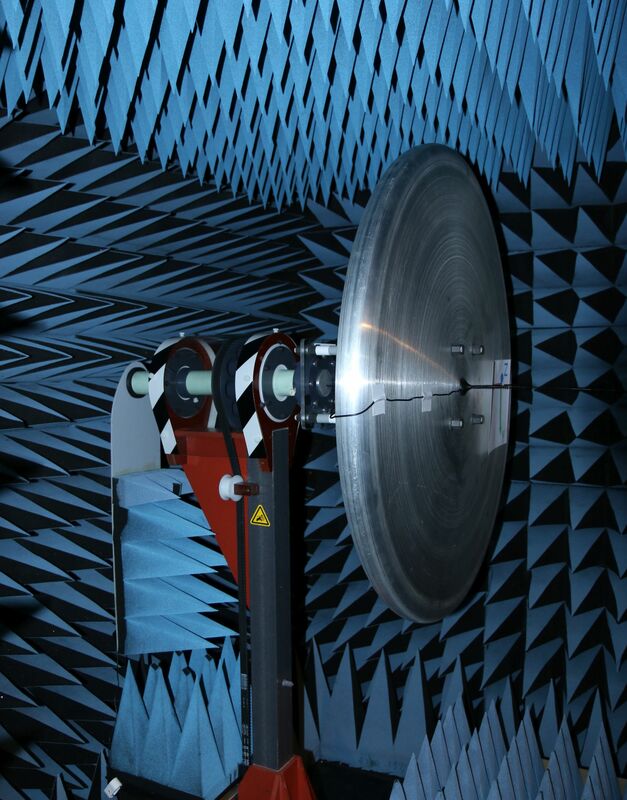 All customer antennas are evaluated in our 20 foot long fully anechoic antenna testing chamber. 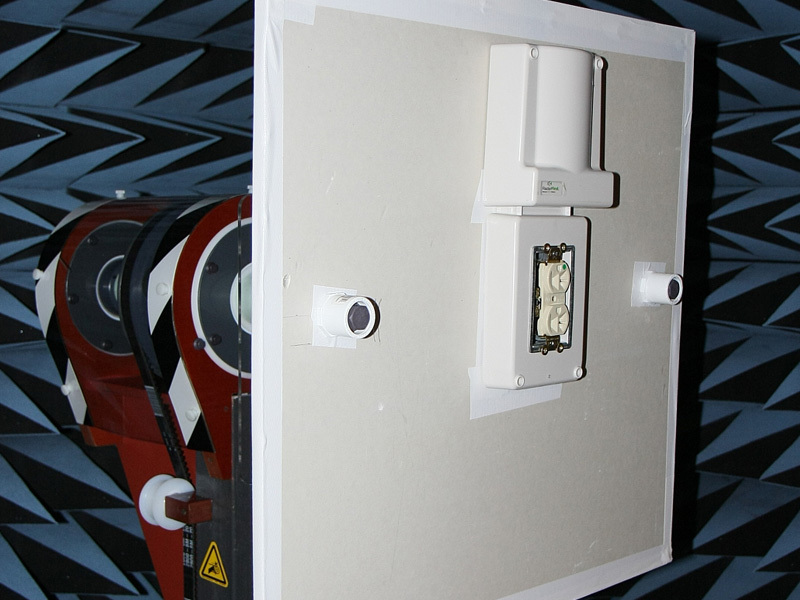 Internal surfaces of the chamber are treated with 18″ pyramidal carbon cones over ferrite tile. 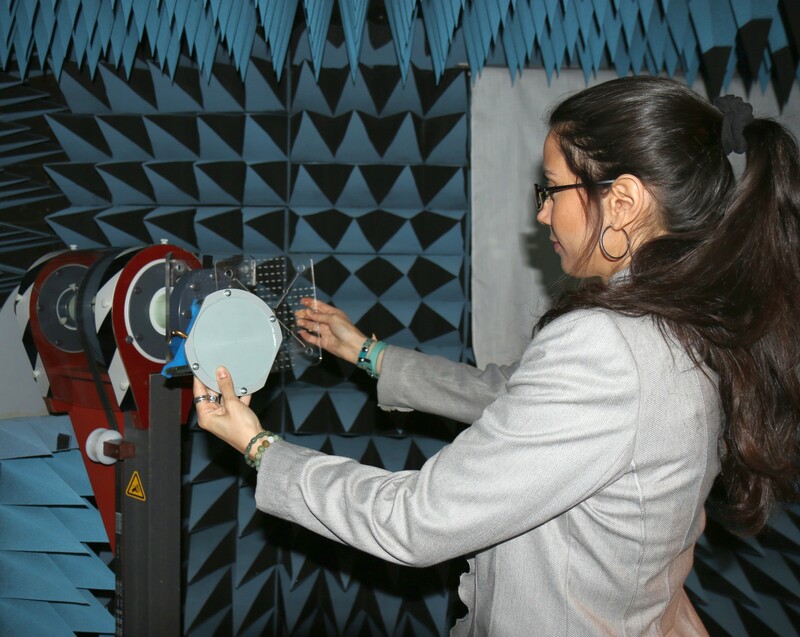 There are approximately 10,500 pounds of ferrite tile which absorb RF and make the chamber anechoic (reflection-less) down to 30 MHz, while the carbon cones extend our test range up to 40 GHz. Our 2-axis positioner will handle antennas up to 15 pounds with sizes up to 24 inches. 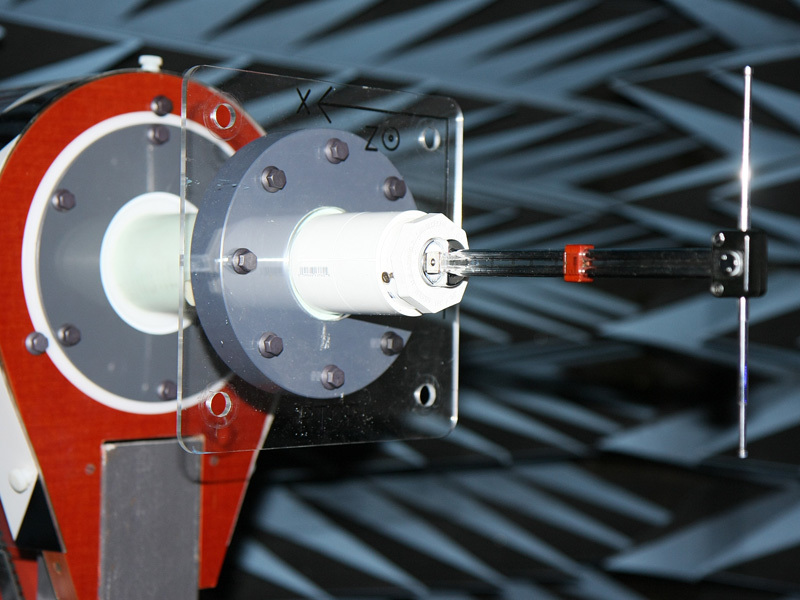 Our reference antennas and chamber quad-ridge antennas combine to give us the widest frequency sweeps available from any antenna test lab. Our high speed Rohde and Schwarz VNAs and Spectrum Analyzers are harmoniously controlled with custom automation software.